The Calgary Flames travel to Rogers Arena to play the Vancouver Canucks on Thursday, September 28, 2017. The opening line for this game has the Flames at +115 and the Canucks at -140. Calgary had a record of 45-33-4 last season and on the road they had a record of 21-16-4. They finished 4th in the Pacific Division. They scored 226 goals and gave up 221 goals for a point differential of +5. For the season they had an ATS record of 45-41-0 and an over/under record of 35-39-0. Vancouver finished with a record of 30-43-9 including 18-17-6 at home last season. They were 7th in the Pacific Division. They scored 182 goals and surrendered 243 for a goal differential of -61. Their record against the spread was 30-52-0 while their over/under record was 32-37-0. Mike Smith had 19 wins and 26 losses last season in net for the Flames. He had 1,819 shots against him and he gave up 156 goals. He made 1,663 saves for a save percentage of 91%. Sean Monahan accumulated 58 total points last season for the Flames. He had 27 goals last year with 195 shots on goal giving him a shooting percentage of 14%. He had a total of 31 assists on the season and averaged 17.6 minutes played per game. Johnny Gaudreau averaged 18.5 minutes of ice time per game last year. In that time he had a shooting percentage of 10% by scoring 18 goals on 180 shots. He had 43 assists giving him a total of 61 points on the season. 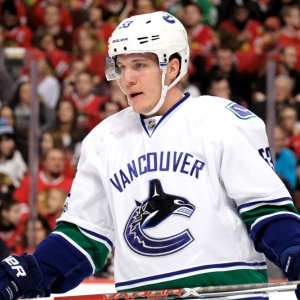 Bo Horvat scored 51 total points last year for the Canucks. He had 20 goals last season with 153 shots on goal giving him a shooting percentage of 13%. He had a total of 31 assists on the season and averaged 18.1 minutes played per game. Jacob Markstrom had 10 wins and 11 losses last year in goal for the Canucks. He had 692 shots against him and he surrendered 62 goals. He made 630 saves for a save percentage of 91%. Henrik Sedin averaged 19.1 minutes of ice time per game. In that time he had a shooting percentage of 16% by scoring 15 goals on 96 shots. He had 33 assists giving him a total of 48 points on the season. The Flames allowed 277 power play opportunities and gave up 51 goals on those chances for a penalty kill percentage of 82%. They averaged 29 shots per game and as a team shot 9.46% for the season. They allowed 29 shots to their opposition per contest and had a team save percentage of 91%. The Flames had 94 total points last season. They scored 226 goals while giving up 221 goals. They had 258 power play opportunities and scored 52 goals on those chances for a percentage of 20%. As a team, the Canucks had a total of 182 goals scored while they gave up 243 goals last year. They averaged 28 shots per contest and had a team shooting percentage of 8.01%. They gave up 32 shots per game and had a save percentage of 91%. The Canucks had a total of 69 points last year. They had 32 power play goals on 227 opportunities for a percentage of 14%. They allowed 223 power play opportunities and gave up 52 goals on those chances for a penalty kill percentage of 77%. The Flames started possessions in the offensive zone 49.1% of the time while their defensive zone percentage was at 50.9% for the season. They had 2,432 face-off wins compared to 2,538 losses, meaning their face-off win percentage was 48.9%. On defense Calgary had 1,550 hits and they blocked 1,111 shots from the opposition. Calgary had a Corsi percentage of 50.3% as they attempted 4,480 shots on net at full strength while they gave up 4,426 shots on net in the same situations. Their Fenwick percentage was 49.9% as they had 3,302 attempts while they gave up 3,315 shots on the defensive end. Vancouver had a Corsi percentage of 48.2% as they tried 4,238 shots on goal while at full strength while they surrendered 4,560 shots on net when they had a full team on the ice. Their Fenwick percentage was 46.9% as they had 3,114 shots while they gave up 3,526 attempts on defense. The Canucks started possessions in the offensive zone 51.2% of the time while their defensive zone percentage was at 48.8% for the year. They had 2,537 face-off wins as opposed to 2,423 losses, meaning their face-off win percentage was 51.1%. On defense Vancouver had 1,471 hits and they blocked 1,034 attempts from opposing offenses. Who will win tonight's Flames/Canucks NHL game against the spread?